Biokontroll Hungária Nonprofit Kft. is a 100 % Hungarian-owned organic inspection and certification body registered as HU-ÖKO-01 by the competent Hungarian authority. The certification activity is carried out according to the standard for certification bodies. 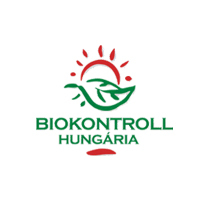 Biokontroll Hungária inspects and certifies according to the requirements of the European Union in the following areas: crop production, collection of wild plants, mushroom production, beekeeping, animal husbandry, feed processing, retail and wholesale, food processing (including the production of yeast), storage, import. Furthermore, Biokontroll Hungária has prepared its own standards for certain activities, which are under the scope of the EU regulations but have not been regulated in detail yet, or which are not covered by the EU regulations at all. Activities inspected and certified according to the private standards of Biokontroll include game farming in game preserves, rabbit keeping, quail keeping, mass catering, manufacturing of cosmetic products. Biokontroll Hungária also provides assistance to its clients to obtain approval and certification for Soil Association, Naturland, Bio Suisse, Demeter, Bioland, NOP and Krav trademarks. Address: Budapest, Oroszvég lejtő 16.